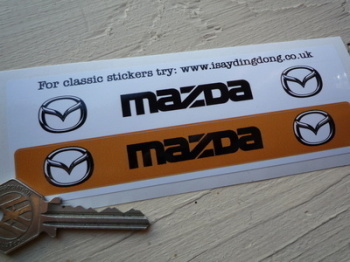 Mazda - I Say Ding Dong Shop - Buy Stickers, Decals & Unique Automobilia. Eunos Mazda Bordered Wheel Centre Stickers. Set of 4. 50mm. Eunos Mazda Circular Stickers. 4" Pair. Eunos Mazda Close Cut Wheel Centre Stickers. Set of 4. 50mm or 55mm. Mazda Helmet Visor Sunstrip Sticker. 12". Mazda Japan Hinomaru Style Stickers. 2" Pair. Mazda Japanese Splat Stickers. 6" Pair. Mazda Lotus Style Logo Circular Stickers. 4" Pair. Mazda Lotus Style Wheel Centre Stickers. Set of 4. 50mm or 55mm. 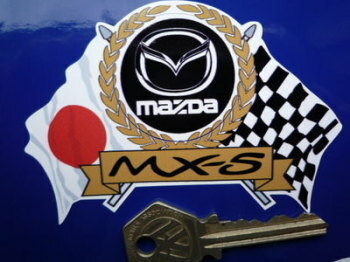 Mazda MX-5 Flag & Scroll Sticker. 4". 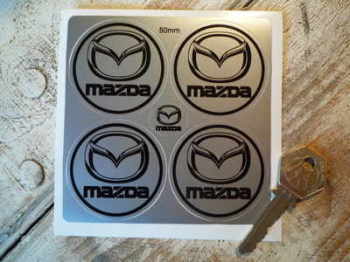 Mazda MX-5 Laser Cut Self Adhesive Car Badge. 4" or 5"
Mazda MX5 Cut Vinyl Sticker. 6". 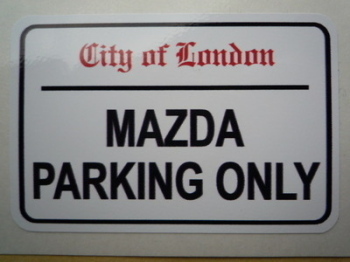 Mazda MX5 Saluting Racing Driver Laser Cut Self Adhesive Car Badge. 2.5". 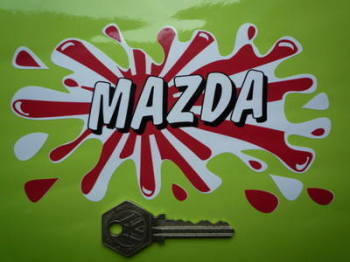 Mazda Number Plate Dealer Logo Cover Stickers. 5.5" Pair. Mazda Parking Only. London Street Sign Style Sticker. 3", 6" or 12". 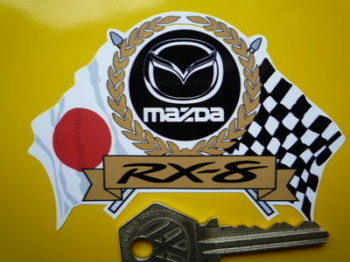 Mazda RX-8 Flag & Scroll Sticker. 4". 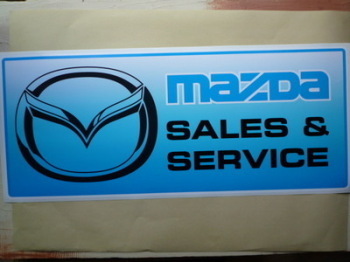 Mazda Sales & Service Workshop Sticker. 23.5". 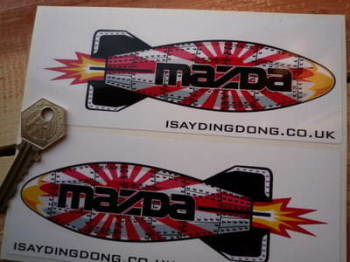 Mazda Shaped Torpedo Stickers. 6" Pair. Mazda Tyre Pressure Stickers. 1.75" Pair.